As marketers, or even just people that own websites, there are so many metrics to keep an eye on. Of course, metrics are incredibly important. How else would we ever know what was working and what wasn’t working? However, the problem with them is that people tend to focus on the wrong ones time and time again, causing people to see failure where there’s no failure and conversely, success where things are going badly. They say that you can provide anything with statistics- 90% of all people know that and it’s very much the case for site metrics. So, let’s take a closer look at some of the marketing numbers that aren’t worth their weight in feathers. Twitter followers are great to have in abundance; however numbers mean little in this case. The quality of your Twitter followers is the all-important metric. It’s better to have 100 followers who are interested and wish to engage with your business than 10,000 who couldn’t care less about it. Twitter is about engaging people, building quality relationships and encouraging people to connect, discuss and purchase from you. It’s also about improving customer service among other things, by being available for engagement. If you’ve a large number of people who never want this, then it’s merely a figure. It’s more of the same here. Encouraging people to Like your site by offering them a short term carrot, such as a competition may not get the best possible people and the Likes count can be deceiving in terms of the value it offers. A good Facebook fan group following you will bring the same benefits as the one we mentioned above in our Twitter section. In addition, it’s easy for competitors to look like they’re doing better than they are by using fake followers and Likes. In the short and the long term they’re only fooling themselves. A Klout score is a little like a Ferrari kit car. It’s nice to look at, but it’s got a Rover 2000 engine under the bonnet and it’s not as impressive as it seems. However, it doesn’t stop people getting frenzied when Klout changes its algorithm and people are affected. 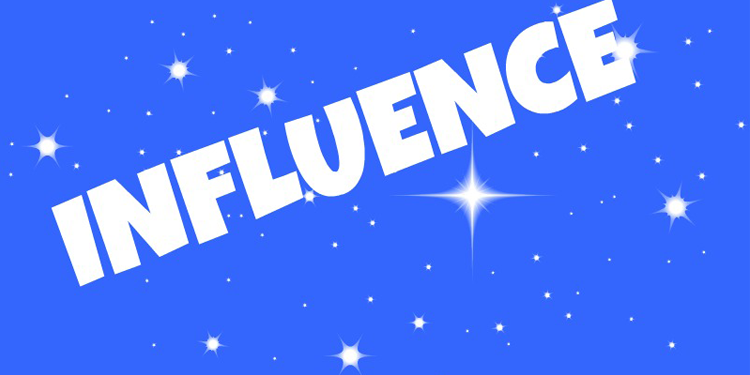 Influence is a great thing and influencers are very beneficial to a brand, there’s no doubt about that. However, the proof of your importance isn’t down to a Klout score. Look at your social networks one by one – they’re a far better gauge. And surely, if your score drops, what difference does it make? It’s more of a change in the calculation of how it’s deliberated rather than your social profiles. You’re still as popular and have as many followers and Likes as the day before. Yes, getting clicks is very important. However, they can be a little deceiving. Unless you’re actually doing something with those clicks, you’re not worth anything. Clicks are great, but if your conversions are paltry and your bounce rate sky high they mean very little. Focusing on and making efforts at growing these other metrics is equally if not more important than increasing the number of clicks your site gets. It’s great to have a number one rank on Google, but what’s it for and how many people are going to be bothered to search for it, let alone click through with the intention of making a sale. We could rank number one for ‘biggest tree with roots like a donut’ (we may just have) but there aren’t too many searches for that term. People do tend to get too obsessed with numbers and metrics relating to SEO. It’s fine and good having a site with a Page Rank of 8 but if it’s got a domain authority of 10 then things are looking a little odd. Conversely, if the page rank was 0 and the domain authority 80 – there’s an issue there too. In addition, other factors such as the backlinks, the quality of the backlinks, and metrics such as MajesticSEO’s Citation Flow and Trust Flow are all part and parcel of what makes a healthy site. Fling the guest blog’s relativity, its IP Address and a whole lot more in there and you get an idea that it’s not down to one thing alone. The point we make here is that all of these metrics are part of a holistic view towards the marketing of your site. With SEO interlinking with social media and conversion rates with both of these aforementioned factors, we often lose track that it’s the whole picture that’s important, and not just one part. A good site and online marketing campaign is worth more than the sum of its parts and all of these factors link together to create a successful online drive and that’s very important to always remember.